Amazon Web Services provides on-demand cloud computing platforms to both individuals, companies and governments, on a paid subscription basis with a free-tier option available for 12 months. 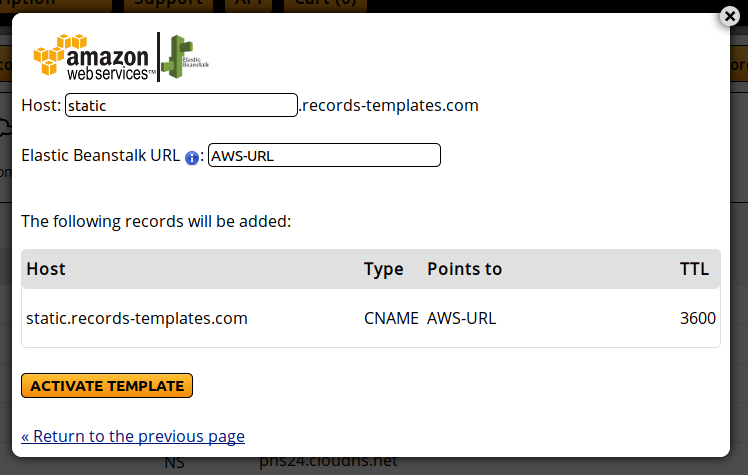 One of the easiest ways to use our services and Amazon Web Services is using our Records Templates. They allow you to create the necessary records in your Master DNS Zone. From the orange boxes, click on "Amazon Web Services".